"...in spite of its oldness, it always create new things. 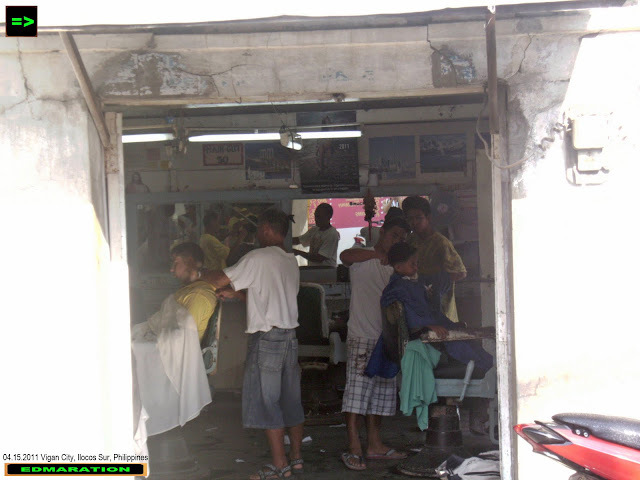 In Mabuhay barber shop, there is new thing everyday." With the mushrooming growth of the service sector in our economy, saloons and beauty parlors are very present. Even the most masculine looking guy even now prefer to have the services of the saloons for haircut. With the younger generation, they might not be familiar of the word barber shop. As you notice, barber shops mainly have "real" men unlike in saloons where most of the hair cutters are so "gay." With the appearance of the saloons, almost all barber shops have been killed! They are almost gone in the limelight. And if we talk about barber shop, it's more of being masculine and saloon more feminine. But a lot of men now prefer the convenience of the saloons. 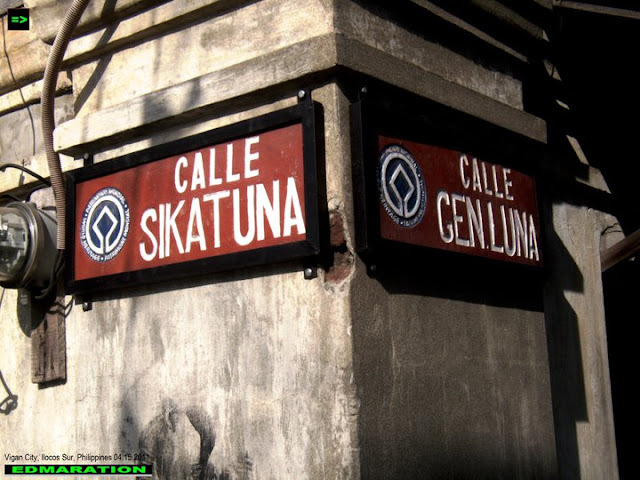 At the corner of Sikatuna and Gen. Luna Streets in Vigan is the Mabuhay Barber Shop - the oldest running and surviving barber shop in Vigan. The interesting feat with this barber shop is that it is older then me. It's age is roughly about less than 60 years and still going strong. 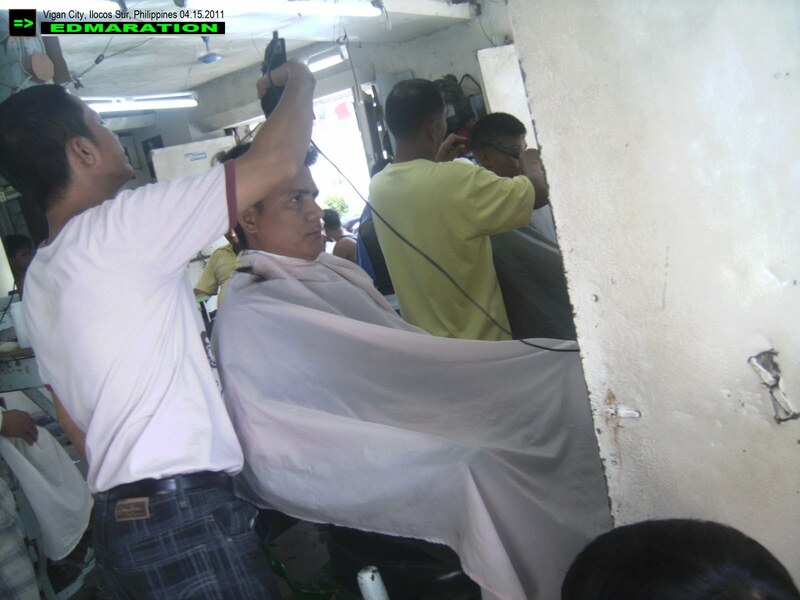 Unlike the saloons, Mabuhay barber shop doesn't have the "gay" hair cutters. They are all "real" men to note and most of the clients are "real" men too. There are no other beauty services other than haircut. They charge for only 50 pesos for each haircut. It is also very interesting to discover that there are no female customers although they are not prohibited. Unlike the saloons, Mabuhay Barber Shop is not fully air-conditioned. It is actually in an open air with ceiling fans inside. The haircutters come and go but this barber shop never became dead. It speaks it's name "Mabuhay" which means "long live." I wonder what's the secret of this barber shop that it keeps on going. They even have a foreigner customer who ignored the air-conditioned saloon scattered in the town. 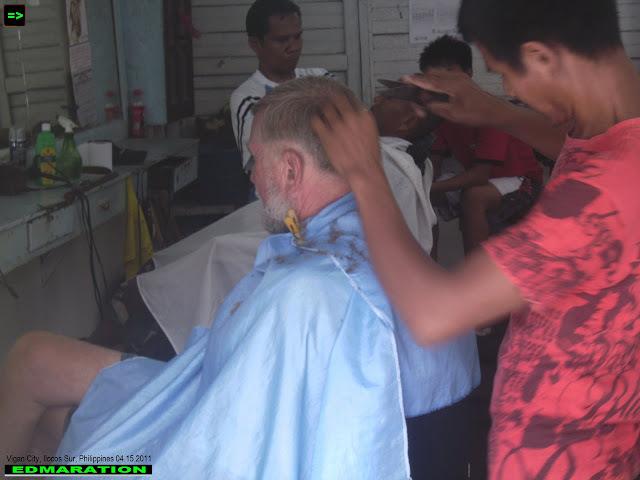 This foreigner prefer Mabuhay Barber Shop than any other saloons. He also received massage as part of the service. This barber shop truly has gained the trust of the people because people still prefer to choose this barber shop than any other modern saloon in town. I was able to talk with one of the oldest hair cutter. "This barber shop is even older than your father," he says. "This is not the original location of this barber shop because it has transferred a couple of times," he added. Next time my hair gets long, I will surely let Mabuhay Barber Shop cut my hair not because I featured it in my blog but because in spite of its oldness, it always create new things. In Mabuhay barber shop, there is new thing everyday. Daily, this barber shop creates new hair cuts, new look, new smile and new confidence it has continued all throughout the decades of existence and service!